Fort Worth’s Where House And Dallas’ Forest Theater Are Set To Rise Again, Kelly Clarkson’s Joining The Voice, Bobby Sessions Drops A New Video And Those BNQT Boys Are Going To Be On TV. They say when god closes a door, he/she opens a window. Or something like that. From our experience, anyway, it seems to be true: When god closes a music venue, he/she will always seem to open two more. Whereas North Texas has lost beloved spots like Dallas’ Crown and Harp, Fort Worth’s Where House and Denton’s Rubber Gloves in recent years, a bunch of other new spots have come along to take their place. The newly opened like The Dirty 30 in Dallas and the Lava Cantina out in The Colony are a couple that come to mind. Turns out, a few more are coming down the pike as well. Coming this summer to Deep Ellum is Deep Ellum Art Co. It’ll be in that Deep Ellum building at Commerce and Murray, right across from the Futura Lofts — y’know, the one that used to have a sign out front, left by its previous tenants, that said “Art Co.” in red letters. More than just a name, though, owners tell GuideLive that the space will be dedicated to local arts, with music on two stages, as well as poetry and theater arts as well. They also plan on hosting a monthly local art bazaar called Deep Ellum’s Arts Festival which, unlike that other, similarly named annual event will place emphasis on local artists – and won’t, as far as we can tell, be total garbage. Also coming to Fort Worth this summer is the next generation of semi-DIY spot The Where House, which will be called simply The Where. This time around it’ll boast an honest-to-goodness liquor license, even! According to the Fort Worth Weekly, though, it’ll retain much of the wheels-off nature that made the original Where so singularly unique. Another spot that looks like it’s going to get a second (third? umpteenth?) chance is South Dallas’ historic Forest Theater. After sitting vacant for eight years, Dallas nonprofit CitySquare reportedly paid for the spot in cash, and plans on breathing new life into the old gem. Its new owners also tell the DMN that while they expect the 1,400-cap room to host some concerts, its primary focus will be on other things, such as education and providing opportunities to impoverished children that don’t typically have them otherwise. Best of luck to them. Whenever we’ve ever mentioned hypothetical visions of ways to rehab the Forest, we’ve always been quickly and universally shut down with quips about how, if Erykah Badu couldn’t do it, ain’t nobody can. Speaking of the Analogue Girl in a Digital World, former Disney star Zendaya performed a routine to Badu’s “Tyrone” on a special MTV Movie & TV Awards episode of Lip Sync Battle last week. Check it out. In other TV news, Variety reports that Kelly Clarkson is set to become a coach on The Voice — not next season, but the next one after that. As in, the one that’ll air in the spring of 2018. 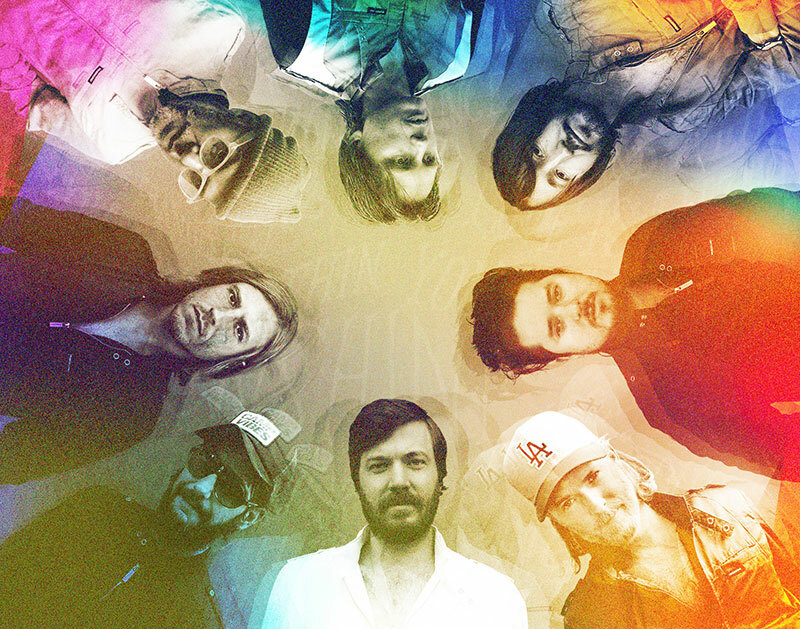 Of course, you won’t have to wait that long to catch BNQT on the tube, as the Midlake-heavy supergroup will perform on tomorrow night’s episode of Late Night With Seth Meyers. Something else to be grateful for is a new Bobby Sessions video for the single “Grateful (Always Something).” Peep the German Torres-directed clip below. Speaking of new clips, do you remember when we made mention of Jena Pyle (Sundae Crush) and Claire Morales’s new collaborative project Saudade Sisters a while back? They’ve since premiered a video for a second single called “Wrong Ones” over at UK-based blog Gold Flake Paint. It’s an Rosemary’s Baby-inspired clip for the title track of an EP the pair is releasing this Friday. Then, ahead of his own upcoming album release (which will come next weekend at Spinster), 16-year-old songwriting wunderkind Parker Twomey released a new video shot by his talented pops, Matt. What is that thing they say about apples not falling too far from trees? The final video of the week comes from the prolific Drawn by Jaymz. It’s not a new song, though; it’s for a metal turn he took sometime last summer – although, of course, that was 22 albums ago for him. Not even exaggerating! Wrapping things up, Siberian Traps has a new record on the way. Venturing farther away from its Americana sound, the band’s new single is a tad Phil Collins-y. The record, titled Indicator, is due out June 9. Previous ArticleDaniel Hart Talks The Sound Of S-Town. Next ArticleThings To Do In Dallas On Wednesday, May 17.